1 dribbles towards 2 in the corner. 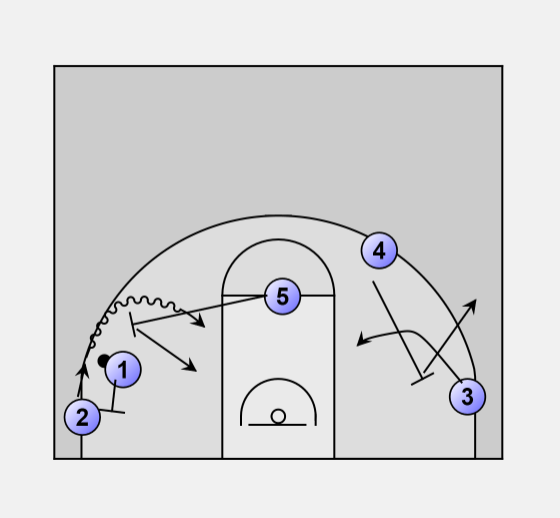 1 screens for 2 off the dribble hand off while 5 follows with a 2nd screen for 2. 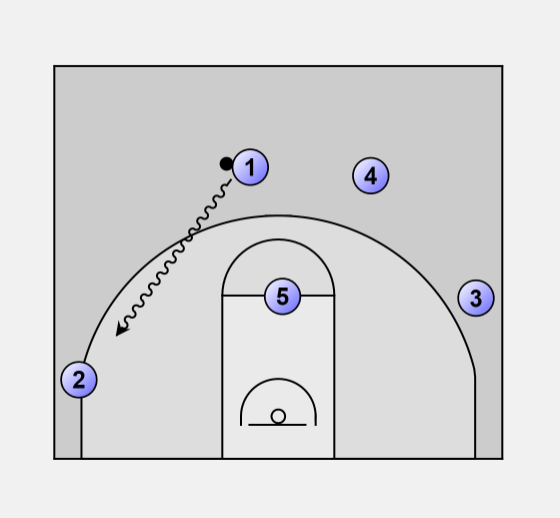 4 down screens for 3 to curl or fade. 2 can hit 5 on the roll, 3 off the curl, pitch to 4 on the wing or 1 filling in behind. Or 2 can shoot the pull up or drive to the basket.